For the 2019 MotoGP season, Sky Racing Team VR46 will be supported by motorcycle cleaning and maintenance brand Muc-Off. The official partnership will kick off at this weekend’s Grand Prix of the Americas, with professional riders Luca Marini, Nicolò Bulega, Dennis Foggia and Celestino Vietti Ramus flying the flag for the team. Muc-Off’s heritage and performance innovations will now be put to the test in the Moto2 and Moto3 championships, supporting the Italian outfit and its roster of talented young riders. The professionals riding with Sky Racing Team VR46 will have a full suite of Muc-Off products at their disposal, including the opportunity to test advanced technologies straight from the Muc-Off R&D facility. “We are extremely excited to be working with Muc-Off for the 2019 season. 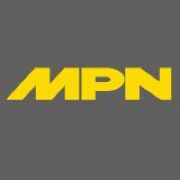 Their extensive product range and passion for product innovation is something we are very pleased to be a part of. 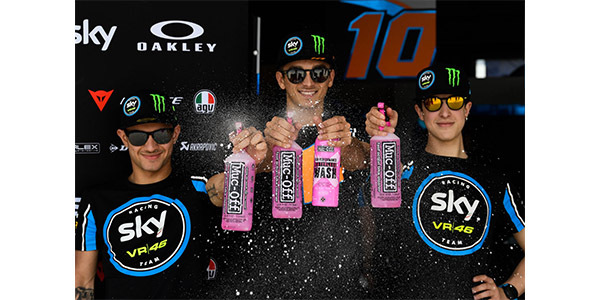 The season has only just started for us and it’s great to have Muc-Off on board to help us achieve our goals for the season,” said Pablo Nieto, team manager, Sky Racing Team VR46. Muc-Off looks forward to supporting Sky Racing Team VR46 for the season ahead, with a desire to drive the Team towards championship success.